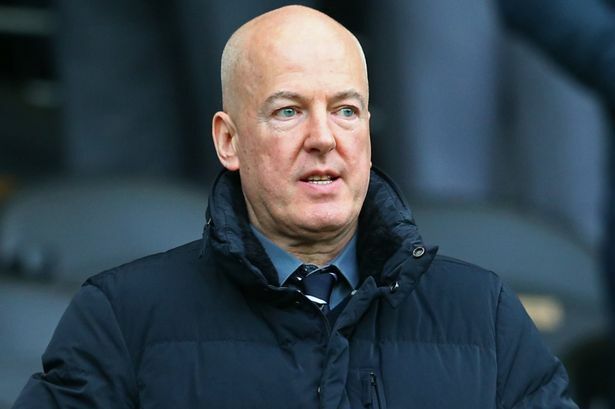 It looks as if West Bromwich Albion will be the only West Midlands side in the Premier League next season - good news for former stockbroker Jeremy Peace who joined the board of the Baggies as a non-executive director in 2000. He now has an 80 per cent stake and is chairman of the club. He has a reputation as a hands-on owner who can take a hard line, such as when he sacked head coach Steve Clarke who took Albion to eighth place in 2013. He hasn’t ruled out selling the club but said he would only consider buyers who he felt could take the club forward. In his tenure as chairman Albion has become a stable Premiership club with a flourishing academy and good ground facilities. Neil Snowball was appointed chief executive of Warwickshire County Cricket Club in November following the retirement of Colin Povey. Before coming to Edgbaston he was chief operating officer of the organising committee for the Rugby World Cup responsible for all aspects of the tournament. Before that he was head of sport for the London 2012 Olympics organising committee. At Warwickshire he will continue to develop Edgbaston as an international cricket venue. Wasps Deputy Chairman Nick Eastwood. Aviva Premiership Rugby club Wasps’ acquisition of the Ricoh Arena has been a successful move, both for the club and for the arena, with record revenues posted. Nick Eastwood, who was previously chief executive and is now deputy chairman of the club, has played an integral part in that. He remains primary spokesperson for the club and represents Wasps on the Premiership Rugby Board. Niels de Vos, an ex-pupil of King Edward’s School, Birmingham became chief executive of the sporting governing body UK Athletics in 2007. He quickly became known for his strong anti-doping stance, advocating a lifetime ban for athletes caught using banned substances. He attracted sponsorship money for training centres and athletic clubs. Before joining UK Athletics he was chief executive of Sale Sharks rugby club whom he guided to the Premiership title in 2006. He was also commercial and marketing director for the Manchester Commonwealth Games. Baroness Brady first came to prominence as managing director of Birmingham City in the David Sullivan era. She is currently vice-chairman of West Ham United FC, and features on the BBC series The Apprentice as an aide to Lord Sugar. She is the Small Business Ambassador to the Government. She oversaw the flotation of Birmingham City in 1997, becoming the youngest managing director of a UK plc. She is a regular columnist in newspapers and magazines and has published four books. She was made a Conservative life peer in 2014. Wolverhampton-born Jacqui Oatley commentates on sport – largely football – for BBC and ITV and was the first female commentator on Match of the Day. She is an FA qualified football coach and a director of Women in Football. She is also the UK’s first female darts presenter as darts anchor for ITV Sport. She received her MBE in the 2016 New Years honours for services to broadcasting and diversity in sport, recognising her championing of the role of women in football. Before her TV career she was a news reporter for BBC Radio WM. Cannock resident and ex-Aston Villa player Stan Collymore has become an outspoken broadcaster and football pundit. He was sacked by BT Sport last year when he became embroiled in a Twitter row with Rangers fans over sectarian chanting. After a playing career that included spells with Notts Forest, Leicester City and Liverpool as well as Villa he became a TV and radio pundit working on ITV, Channel 4, Eurosport, Channel 5 and Talksport. New Aston Villa chairman Steve Hollis has the job of conducting the post mortem into Villa’s season of shame. He is looking at player recruitment, staff streamlining, the club’s infrastructure and its likely future in the Championship. He and former Bank of England governor Sir Mervyn King are establishing why Villa have been anchored at the bottom of the Premiership despite a £50 million spending spree. Owner Randy Lerner is now taking a back seat while the former KPMG regional chairman and vice chairman of the Greater Birmingham and Solihull LEP drives through the necessary changes. He was appointed executive chairman when Tom Fox left Villa earlier this month. Birmingham City director Panos Pavlakis has had the difficult task of managing day-to-day operations at the Championship club while the Carson Yeung machinations continue in Hong Kong. He was given the task by Birmingham International Holdings Ltd in June 2014. He also has to manage the sale of the club, with Trillion Trophy Asia being granted two years exclusivity to buy it. Birmingham-born Garry Cook leads the growth of the American-inspired Ultimate Fighting Championship outside of the States. He is the executive vice-president of the mixed-martial arts discipline UFC for Europe, the Middle East and Africa. UFC combines elements of judo, karate, Thai boxing, wrestling, jiu-jitsu and other disciplines. Garry Cook is probably better known as the former chief executive of Manchester City but before that he worked for Nike.